Victoria, BC – The Pacific Institute for Sport Excellence (PISE), the Canadian Sport Institute, and Camosun College announced three legacy initiatives today at PISE in honour of Dr. Gord Sleivert, former Vice-President of the Canadian Sport Centre Pacific, who passed away in 2012. PISE is officially opening and dedicating its new Track & Training Zone to Dr. Gord Sleivert. The Track & Training Zone covers the entire 9,000 sq ft former concrete patio on the south end of PISE, with a proper rubber based sport training surface that is bordered by two spring tracks and lights for year round use by athletes, students and the community. The Canadian Sport Institute lab, within the PISE building, will now be renamed the Dr. Gord Sleivert Sport Performance Lab to commemorate Gord’s dedication to sport science and the creation of a “better than world class” daily training environment. Camosun College has created an award in Dr. Sleivert’s honour: The Gord Sleivert Award: Commitment and Perseverance. The criteria for the award is a hardworking student who has demonstrated commitment, perseverance and a passion for the community; who is from a demographic that is in need of financial supported, and who is well-rounded and not necessarily at the top of the class. The award recipient will be nominated by the faculty. 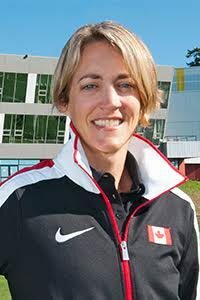 Dr. Sleivert was a beloved leader within the Canadian Sport System, whose contribution to high performance sport led to the creation of PISE, which evolved from the partnership between Camosun College, Canadian Sport Centre Pacific (now the Canadian Sport Institute) and PacificSport Victoria.